For those considering adoption, there are many good reasons to choose an older cat rather than a kitten. 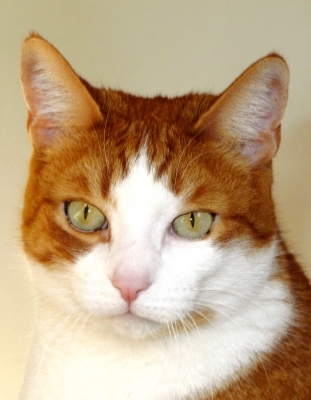 Older cats are not usually surrendered to shelters due to behaviour or medical problems. Rather, they are abandoned because of allergies, illness or death of owners, a move to a new residence that does not allow pets, or the breakup of a relationship. In such cases, there is nothing wrong with the cat. Instead, the problems lie with the owners. Terrified, confused, and heartbroken, older cats that have lost their homes may live in cages for years or even be euthanized because potential adopters bypass them in favour of kittens. In addition to helping these cats find the loving homes they need, there are other good reasons to consider an older cat for adoption. An older cat’s personality has fully formed, so she is far less likely to provide any nasty surprises to her adoptive family in the future. Young kittens may develop lifelong bad habits, chronic medical conditions, neuroses, and other problems, but with an adult cat, what the adopter sees is what he gets. This makes it easier to achieve a good temperament match between existing human and animal members of the household and the new pet. Also, a laid back older cat, if properly introduced, is less likely to traumatize an older resident cat or dog than a rambunctious kitten. Young cats often tear around, chewing up the furniture, draperies, electrical cords, and anything else they can get into. They knock over lamps and knick-knacks, shred rolls of paper towels, and leave many small disasters in their wake. Because older cats are usually litter trained and scratch-post trained, their owners don’t have the hassle of teaching them, there are fewer messes to clean up, and the furniture is less likely to be destroyed. Kittens often sleep or play in their litter boxes, and if their owners are truly unfortunate, they’ll play a game known as “poo-hockey,” removing dried waste from the box and batting it around until it has been lost under a piece of furniture. Older cats are usually not inclined to use the litter box for anything other than its intended purpose, and they are also more fastidious about grooming afterward. An adult cat usually knows how to avoid danger, but kittens, like young children, are relatively clueless. Kittens are more inclined to ingest toxic substances, fall from windows and balconies, get lost, and pull heavy objects onto themselves. An older cat has more common sense and doesn’t need to be watched every moment of the day, making her a better choice for busy owners. Kittens also require extensive cat-proofing procedures to make the house relatively safe for them, which some potential adopters may find disruptive to their lifestyles. Adult cats are less hyperactive, and less likely to pounce on an owner in his sleep and bite his toes or run around the house, crashing into things and making noise at night. Young cats also tend to be needy and demanding, whereas older cats are more likely to leave their owners alone to enjoy a good night’s sleep. In a household with children, there is great risk to a small kitten that doesn’t have the common sense to extricate herself from harm’s way. If roughly handled, she may develop a lifelong phobia of kids, and she is at risk for being injured by young children who don’t know any better. Many adult cats, by contrast, have had prior experience with children, and they know when to put up with a bit of clumsy handling and when to run away. By seeking an adult shelter cat that has had prior experience with children or is very laid back, owners reduce the risk of injuries to children and the cat, as well as the likelihood that their new pet will develop a lifelong neurosis. Given the large number of homeless cats, spaying or neutering pets is a moral imperative, but it also represents one more expense for cash-strapped owners. Many older cats have already been fixed, sparing new owners the expense, hassle, and anxiety over the procedure. Potential adopters may be concerned that if they choose an older cat, they won’t have many years with her. However, cats (particularly indoor cats) are living far longer than they used to. Barring accidents or serious medical problems, most cats now live into their teens, often their late teens, and some well into their twenties, because owners are more protective and better informed, and veterinary care has advanced over the years. Potential adopters of senior cats may also worry that a senior cat could develop medical problems sooner, but there are pet insurance schemes, as well as charities that help pay the vet bills in the case of illness or accident if owners are suffering financial difficulties. Some rescue organizations and shelters also offer options such long-term fostering, through which the senior cat resides with her new human companions indefinitely, but is still technically under ownership of the shelter, and thus eligible to receive medical care there for free. Adopters of adult cats can feel good about themselves, knowing that they have saved an animal from a lifetime of loneliness. In turn they will receive the unconditional love of a grateful pet, as well as the health benefits that come with pet ownership.